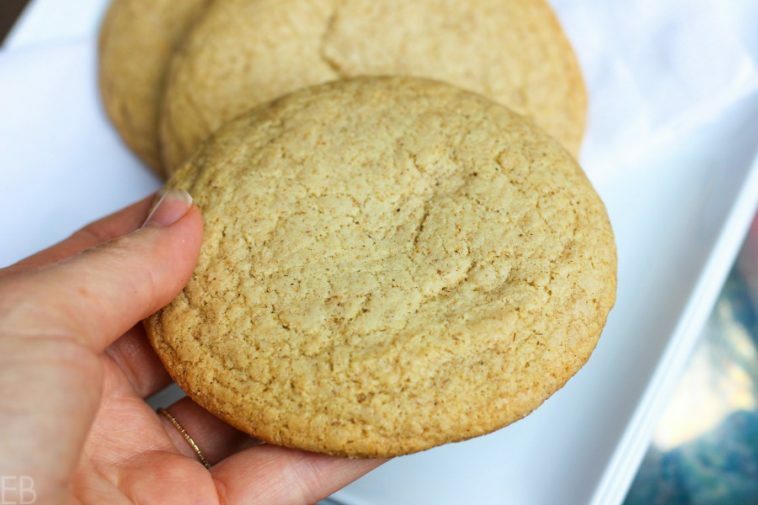 These Paleo and AIP Snickerdoodles are a cookie lover’s wish come true … especially if you used to love cookies but limit yourself to only the best occasional desserts now … They taste like the old favorites, but they’re so much healthier. With just the right combination of ingredients, these crunchy on the outside, soft, tender and chewy in the middle cinnamon classics are egg-free, nut-free and dairy-free … and perfect with your favorite milk or hot drink for a special treat. These snickerdoodles are like the ones many of us used to eat years ago (that contained white flour and white sugar). 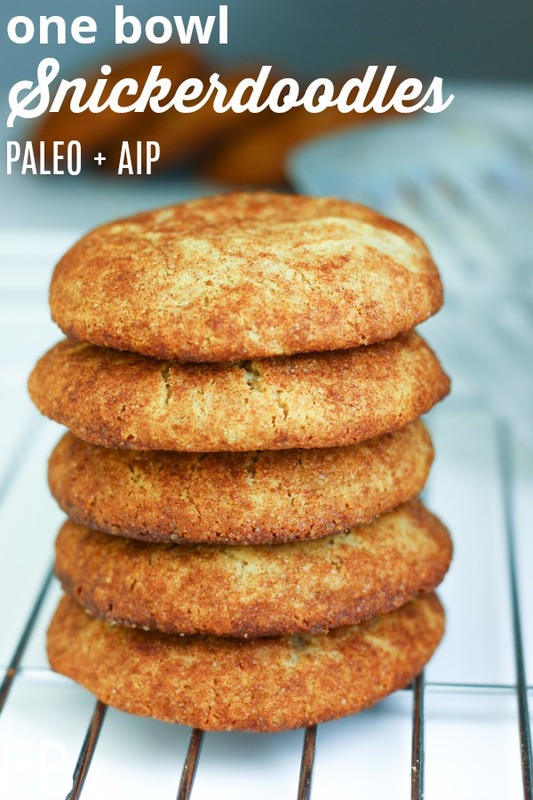 Paleo & AIP Snickerdoodles are classic. Crunchy (crispy edges) on the outside, then soft, tender and chewy on the inside, a true pleasure to eat. Cookie size is your second decision: A 1-1/2 tablespoon cookie scoop (like this one) makes 12 cookies. You can see these above in the stack of 5 cookies or in the photo to the right; they’re smaller and a more classic cookie size. A 3 tablespoon cookie scoop (this one) makes 6 large cookies, as seen in the topmost photo above and in the photo below (the cookie almost fills my hand). Both elicit happy responses! Both are fun for different reasons. Both bake up beautifully. And yes, this dough mixes up so fast. Only one bowl is used. And the process takes only 10 minutes. These cookies are the large Snickerdoodles, and were not rolled in cinnamon sugar before being baked. 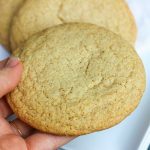 What kind of Paleo and AIP flours are used in this Snickerdoodle recipe to achieve that just-right texture … ? 1) Tiger nut flour: Tiger nut flour is uniquely suited to egg-free baking, aerating baked goods well in the absence of eggs’ leavening power. It also has a wonderful flavor (especially if you buy this brand) and texture. Perhaps surprisingly, tiger nuts do contain some level of antinutrients, such as phytates, oxalates, saponins and tannins. For those of you who don’t mind one additional easy step, there’s an easy way to reduce antinutrients in baked goods! These cookies already contain a small amount of apple cider vinegar (ACV) which can be used to reduce antinutrients. See the Recipe Notes below for the “soaked” version of these cookies. 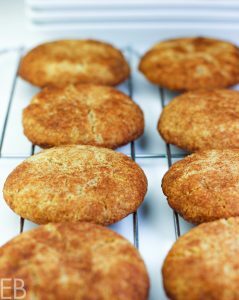 2) Arrowroot is the second flour in these Snickerdoodles. Arrowroot is extracted from the root of a starchy tuber. It works really well in cookies, creating a great cookie texture on the inside and out. Despite being a white flour, arrowroot is actually rich in trace minerals because it grows on tidal flats where sea minerals are abundant. Arrowroot also provides the calcium it gets from the sea water. Arrowroot isn’t refined; it is simply the dried and powdered root. The two flours together are perfect and amazing for making the right texture in this cookie. So pour yourself a hot cup of herbal coffee, creamy tea or something flowery, and grab your little plate with big cookie. It’s time for cookies and hot treats, one of life’s beautiful pleasures. 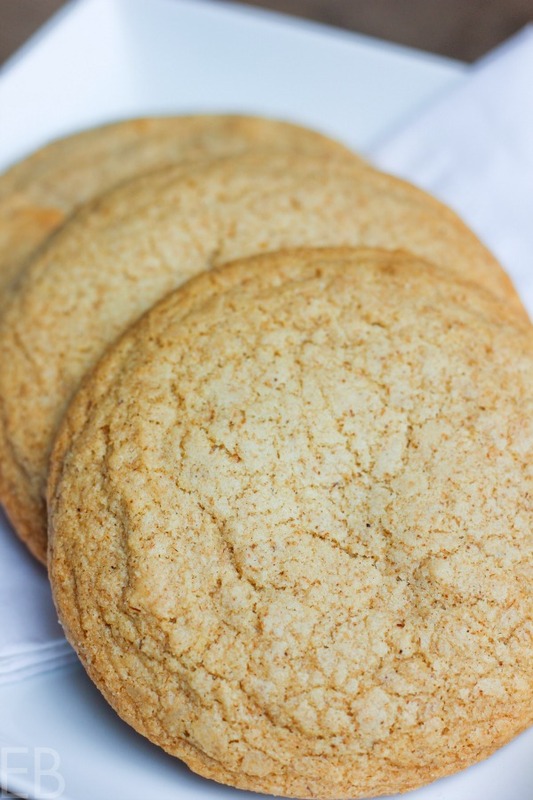 You can make Snickerdoodles with or without the cinnamon sugar coating, depending on whether you mind the extra sugar, one, and two, if you want the visual effect of the crackle coating that's traditional with Snickerdoodles. I'm a fan of both ways! So choose what fits you best. 1 cup tiger nut flour <— This is the best brand. Preheat oven to 350 degrees Fahrenheit. Line large cookie sheet with parchment paper. In medium size bowl, stir together dry ingredients: tiger nut flour, arrowroot, collagen, (cream of tartar if using in place of ACV), baking soda, cinnamon and sea salt. Add wet ingredients. Use handheld mixer to combine, without over-mixing. Use cookie scoop to portion out dough on lined cookie sheet. Bake 8-10 minutes until edges are golden brown and tops are tinged golden. Allow to cool slightly before serving. If you're rolling your cookie dough in cinnamon sugar (to have that crackle top effect), just scoop each portion, as per Step 4 above; then form each scoop into a ball by rolling it between the palms of your hands. Mix together cinnamon and sugar in a small bowl. Roll each ball in sugar. Place each sugared ball on cookie sheet and flatten just slightly with the palm of your hand (by about 1/3). Continue with Step 5 above. Mix all the ingredients just as the recipe above indicates EXCEPT: OMIT the arrowroot and baking soda. Cover the bowl loosely, and leave the dough on the counter overnight, or for 8 hours minimum. After this soaking stage, preheat the oven to 350 degrees Fahrenheit. Mix together the arrowroot and baking soda in a small bowl. Add it to the dough, mixing it in thoroughly (without over-mixing). Now proceed with the scooping and baking instructions above (Step 4). That's it! Baking tiger nut flour further reduces antinutrients. I often get questions about subbing ingredients. As a rule, substitutions don’t work well in egg-free baked goods. One exception is you can almost always sub one liquid sweetener for another: like maple syrup can be subbed for honey, with just a slight change in the flavor and texture. However, one flour can not be subbed for another flour in this recipe. Also, I am often asked about my use of collagen. Collagen contributes to the tender crumb or cake-like texture of some baked goods, (and I prefer having the extra amino acids [protein] with most baked goods to support healthy blood sugar levels). For those who are new to collagen, it is different than gelatin, and there is no substitution for it in this recipe. But it’s well worth having as a pantry staple. Cream of tartar is a traditional ingredient in snickerdoodle recipes. It adds the signature snickerdoodle tang (as does ACV) as well as lift to the recipe. You can use it or ACV in this recipe, as the ingredient list above indicates. Learn more about Paleo Baking Substitutions here. Favorite Paleo and AIP tiger nut recipes? I am making these for after school snack today!! The kiddos loved em! With the cinnamon mixed in, the coating was not necessary! 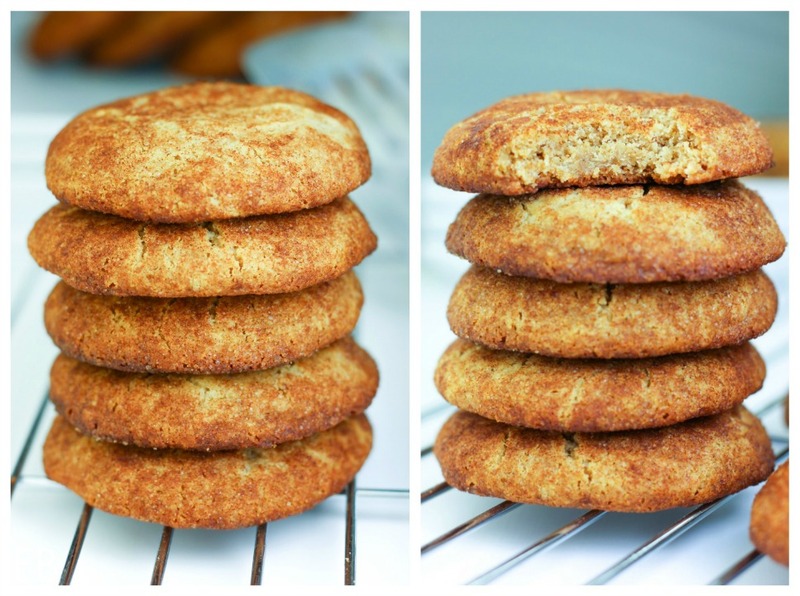 All the flavors of a snickerdoodle in a much healthier coat! I used tapioca in place of arrowroot. Thanks Megan! I still have never tried tigernut flour but I think I need to. The texture looks so perfect, and I can’t believe these are AIP! OH this is so fun! 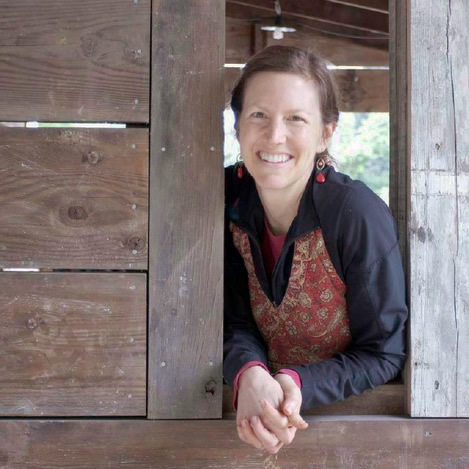 Thank you for the explanation of the tiger nut flour – it is one that I haven’t jumped on board with yet, but everytime you talk about it, I’m intrigued. It really sounds like a good one to add into my rotation for variety! Thanks! Whoa, I never knew you could soak a cookie batter like that! I’m totally trying that from now on! Great PaleoGuy!! 😉 I’m so glad. I have lots of other soaked recipes on my site if you want to check them out. Off the top of my head, look for the soaked overnight chocolate muffins and the sourdough waffles. Enjoy! It’s such a fun process. These look fantastic and hooray I can eat them even with all of my food allergies. They’re going down asap! Yay Kelly!! I’m so happy for you! Those look absolutely perfect. It’s rather hard to make perfect-looking grain-free cookies (as I’m sure you know). I think I’m going to be trying these for dinner now… haha. Wink, Raia! 😉 Enjoy, lol! These snickerdoodles are so dreamy. It only takes 10 minutes to make and not to mention, they’re paleo, too!